Years in the sun can cause havoc on our faces. 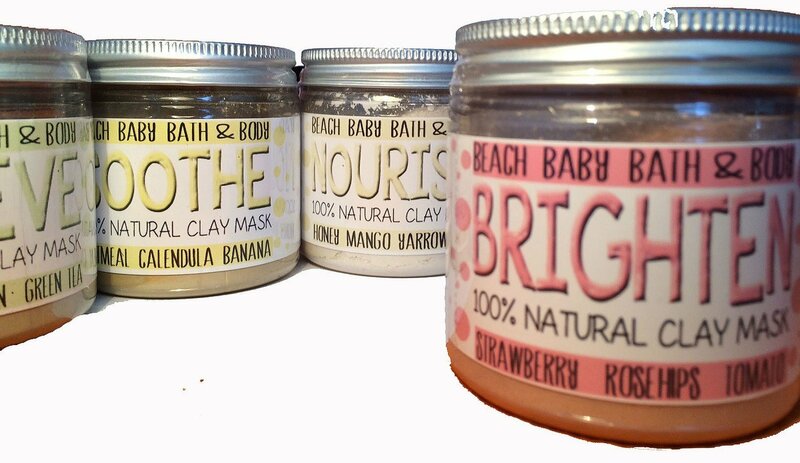 Our Pink Clay Mask for Tired/Mature/Sun Damaged skin helps restore key nutrients. Strawberry Extract: Protects the skin with Vitamin C, & Polythenols. Rosehips: with natural anti-oxidants to improve the elasticity of the skin. Key vitamins and minerals like A, B1, B2, C, E, K, beta carotene, and calcium. Tomato: Lycopene’s natural antioxidant properties, help improve skin textureand protects cells from free radical damage.